Established in 2012, Chennai-based Grabmore.in is a leading cross-border online retailer offering vast variety of healthcare products of leading USA and European brands at reasonable price points. With growing rage of fitness and health among Indian consumers, a Chennai based online retailing portal Grabmore.in offers variety of health and fitness products of global brands. The USP of this online portal is its highly automated supply chain system and globally managed marketplace, which made it simple for a buyer to access and shop exciting health products from across the globe. Grabmore.in was conceptualised by Satish Das in 2012 with an objective to ease access of high-tech healthy products and equipments available across the globe to Indian consumers. 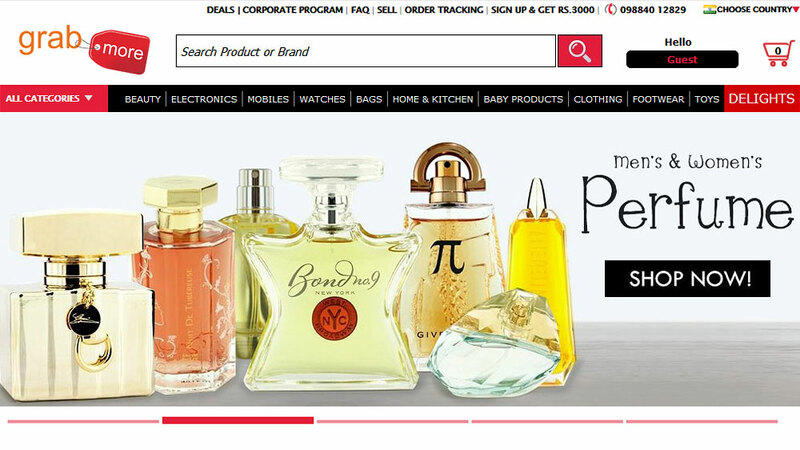 The website offers products like electronics, home appliances, kitchenware, computers, ebook readers, tablet, PCs, laptops, health and beauty, baby clothing and accessories, jewelery, music and mp3 players, mobile phones and accessories, office products, watches and many more. OGAWA has an exquisite range of products for Relaxation, Therapeutic, Fitness, Hygiene and Beauty to promote a better and healthier living. All range of OGAWA Products like Air Revitalisor, Aura Mate, Bio Mizzle, Blood Pressure Monitor, Aroma Oil, Ez Tone, Ez Trim, Foottee Therapy, Froggy Touch, Mobile seat XE, Optima Therapy are available at Gabmore.in. More than four different offers are exclusively available for OGAWA brands at Grabmore.in at price range between Rs 749 to Rs 2,48,999. About Us: Established in 2012, Hot Fut Sports, a venture of..
About Us: Launched in 2015, YoMama is a chain of cafes..
About Us: Zingbi Lifestyle Pvt. Ltd operates within the dynamic fashion..
Best Organic Food Business to Start in Hyderabad..
Make your Way Into The Indian Market..
AI’s Role in the Growth of Healthcare Sector..
Can AI Augment Indian Healthcare Industry..
3 Factors Causing Changes In Franchise Trends..
5 Preschools Making a Mark in Franchising.. Developing the Youth with Skill Based Education..
Dip in HIV cases by 57% in India.. Ensure Employee Wellness to Boost Business.. Tips To Increase Online Brand Visibility..
India is Fast Embracing Esports and Gaming.. Escalating the Packaged Food Biz in India..
GETTING INTO THE FITNESS ROUND..
Top 5 Fitness Trends 2018..
Growth Drivers Of Indian Healthcare Industry..
Establishing a First Aid Training Business..
Three Key Benefits of Mobile Advertising..